Paris is one of the cities with more heritages in the world. If you are planning your visit in Paris and you are a museum lover you cannot miss any of them. Without wasting money, the Paris museum pass is the adapted solution for who wants learning and improving their own knowledge from the magnificent museums and attractions of Paris. 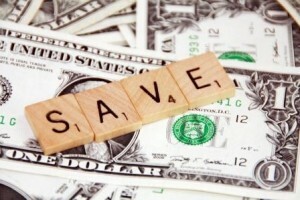 Why the Paris museum pass is worth ? Imagine to buy tickets for all these attractions! 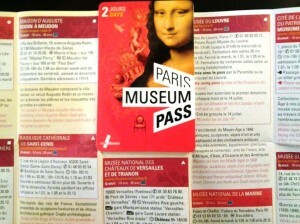 Why choosing the Paris museum pass? The Paris Museum Pass provides you the visit to over 50 museums, monuments and permanent collections, in Paris or around its region. Based on your trip duration the Paris museum pass has three options: 2(48 €), 4 (62 €), or 6 (74€) consecutive days in order to progressively save money with an option of more days. It depends how you organized your Parisian time trip. In every case the Paris Museum Pass will give you the chance to avoid the queue and having a free entry (not guaranteed in case of checks for specific security reasons). Further, don’t be afraid to miss any painting or sculpture, with this pass you will have unlimited number of visits in each museum. With the Paris museum pass you will have a flyer which gathers all the details about the museums and monuments included in the offer. The first day, before beginning your visit remember to write on the Paris museum pass your surname, first name and the day’s date! It will be useful in case of validity recognition and loss. Bear to mind the Paris museum pass does not include entry to temporary exhibitions or conference visits. Passes are either taken back or exchanged. Furthermore, if you will not have time to visit all what previously planned you can consider to visit few museums the evening. The museums the evening are very relaxing and you will have the right concentration to focus on each fantastic heritage.